No, diabetes is not a death sentence for your cat. 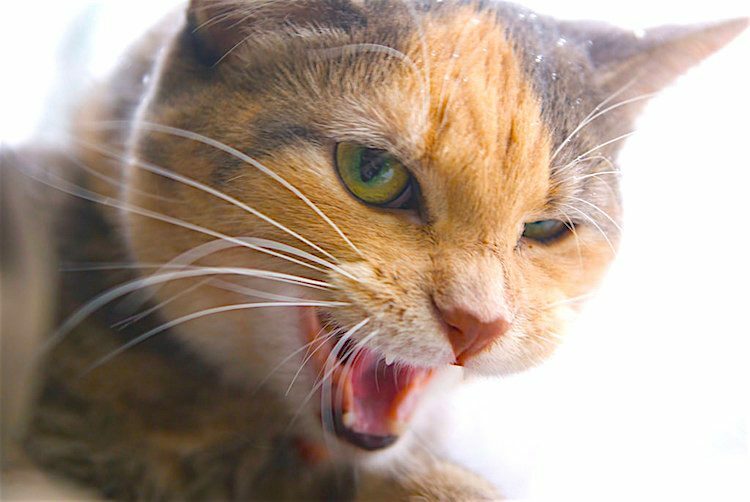 Here’s what you should know, including symptoms, treatment — and the cost of insulin for cats. Many people hear the news their cat is a diabetic, and they think it’s a death sentence. This is not true. Don’t panic. Diabetes is a complex condition, so treatment can seem daunting. But take things a step at a time, and the problems shrink down to size. 1. Diabetes in a cat is a treatable disease. A diagnosis of diabetes means your cat can get treatment. When an older cat is presented to the veterinarian with the common symptoms of drinking lots of water, urinating tons and losing weight, a diagnosis of feline diabetes can actually be good news. It’s often better news than kidney failure or liver failure in many cases. If your cat seems very thirsty, this is not normal. Get the cat to the vet. Early intervention with diabetes, as with so many other diseases, gives your cat the best chance of a better life, and possible remission. Daily insulin injections, along with watching what the cat eats, can help get blood sugar levels back on track and allow the cat to act normal. 2. Sometimes diabetes in cats is reversible — it goes away. With proper diet and the correct insulin therapy, a significant number of cats can go into remission or have their diabetes reversed. We don’t completely understand this, but we are getting better treatment results with low-carb/high-protein diets and early insulin intervention. Diabetes is more common in male cats, and the statistics show that males have a slightly better chance of reversing their diabetes. Anywhere from 30–90% of cats will return to normal with early diagnosis and treatment. 3. Better diets are helping diabetic cats live healthier lives. 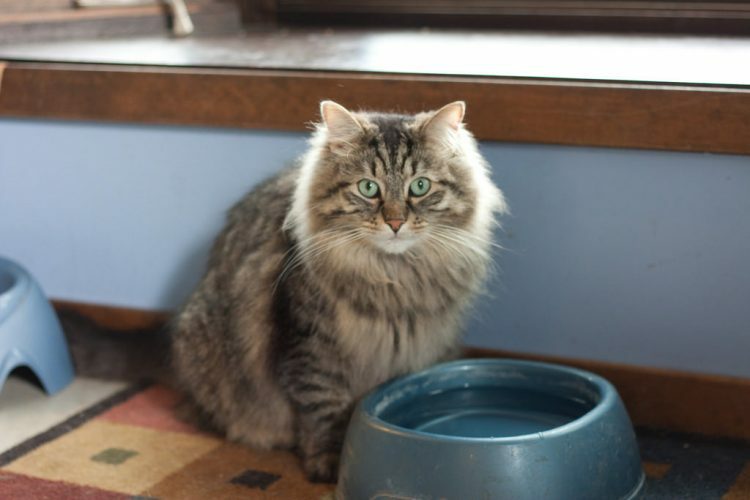 A poor diet may have brought on your cat’s diabetes in the first place. Now it’s time to get back on the right track. 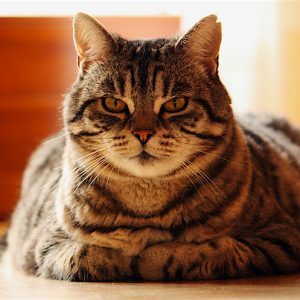 Vets put overweight or obese cats on a calorie-controlled diet. These cuddly cats have an unfortunately habit of storing fat inside insulin-producing cells, which smothers their ability to produce vital insulin. But slim down the cat, clean out the pancreatic cells and ta-dah! Some cats become normal again. Fancy Feast Chunky Chicken or Turkey is a good food for a diabetic cat. Friskies and 9Lives have some options too. Some of these “regular” cat foods are probably better than the prescription diets. 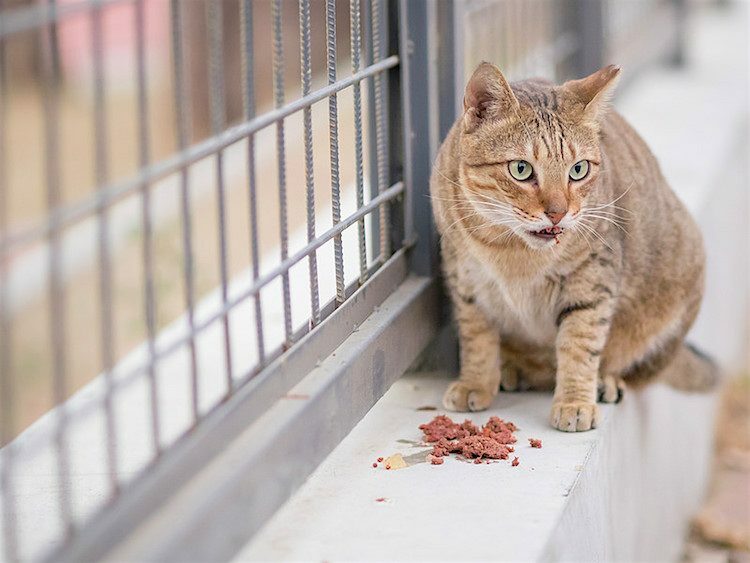 If your cat is addicted to dry foods, there are probably decent dry diets out there — but we still wish you could convert your cat to a wet diet. Certain manufactured foods (such as some semi-moist pouches) contain high levels of humectants, which cause spikes in blood sugar. It’s best to avoid them. 4. Your diabetic cat may live for many years with proper treatment. Many diabetic cats come in to the vet and their human — and the cat — don’t think they’re that sick. The cat is eating well but thinks the water bowl has turned into the best “open bar” in the world. The pet parent decides to take the cat to the vet when there’s urine floating on top of 20 pounds of soaked cat litter. In other words, the cat is severely polyuric/polydipsic (PU/PD). 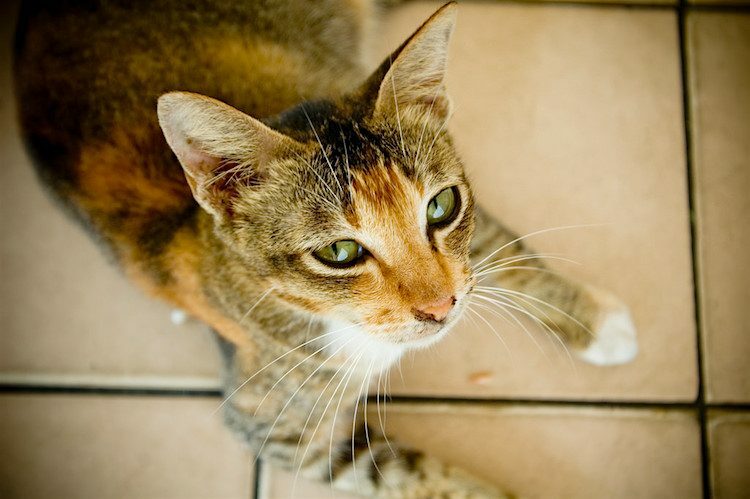 These cats will usually respond to treatment quickly, and you’ve caught the disease before lots of secondary problems set in (pancreatitis, neuropathy, cataracts, to name a few). By the way, 10 “great” vets will treat feline diabetes in 10 great, but different, ways. So have an open and trusting dialogue with your own vet and vet techs. 5. Insulin injections for cats with diabetes are actually not complicated. Injections are not that difficult to give, even when cat, Mr. Mug, is acting like Mr. Angrypants. Stick the furry face in some food and pop in the tiny amount of insulin, and it’s over. Pilling a cat is probably much more difficult on a daily basis than giving an injection. Your vet and staff should give you all the help you need when learning how to give insulin to your cat. There’s lots of debate about which insulin works best in cats. Each vet has their favorite, and if your cat doesn’t do well, they will switch to a different option. Be prepared for some trial and error. For information about the cost of insulin for cats, see Part 2 of this article below. 6. Home monitoring is possible. Home monitoring devices are available for pets, just like human diabetics use. These cut down on vet visits and are great for the cat who is anxious at the vet’s office. Some cats won’t let you prick their ear for a drop of blood. Home monitoring is certainly not for everyone, or every cat. But it’s worth discussing with your vet. 7. Cats don’t act “sick” when their diabetes is well managed. Proper diabetes care for a cat allows many patients to lead normal lives. There are certainly exceptions, and some diabetic cats have many problems — no 2 diabetics are the same. If we catch the illness early, a diabetic cat will stop drinking tons of water, have a normal amount of energy and lead a happy life. 8. It’s relatively easy to find a pet sitter, friend or kennel to give injections when you’re away. If you’re used to leaving your cat for long weekends with a big bowl of food and a “see you later,” your life is going to have to change. If your cat needs insulin injections, you’ll need to find a reliable pet sitter familiar with diabetics, a family member or a pleasant boarding situation. If you travel constantly, caring for a diabetic cat will not be easy. But for most of us with average home/work situations, being home morning and night for 2 kitty meals and 2 injections shouldn’t be that difficult. 9. Think of it as a bonding experience with your cat. Caring for a diabetic cat is both a challenge and something to be proud of. Tons of information is available, and someone with a diabetic cat should become as knowledgeable as possible. If your friends hear the news and tell you horror stories about “other diabetic cats,” or think you’re crazy to give injections to Mr. Mug, here’s our advice: Stay calm. Smile serenely. And move on. You won’t know how this is going to go until you try. Remember, more and more diabetic cats are getting early treatment and going into remission. Feed them a good-quality canned food. There’s also a place for you raw-food and home-cooking fans out there. It just takes more work. Obesity in cats, just like in Americans, is a huge problem. Feeding Meow Mix is like tearing into a big bag of Doritos. They both stain your fingers, too — there’s something not right about that. So stay healthy. Eat right. And do the same for Mr. Mug. 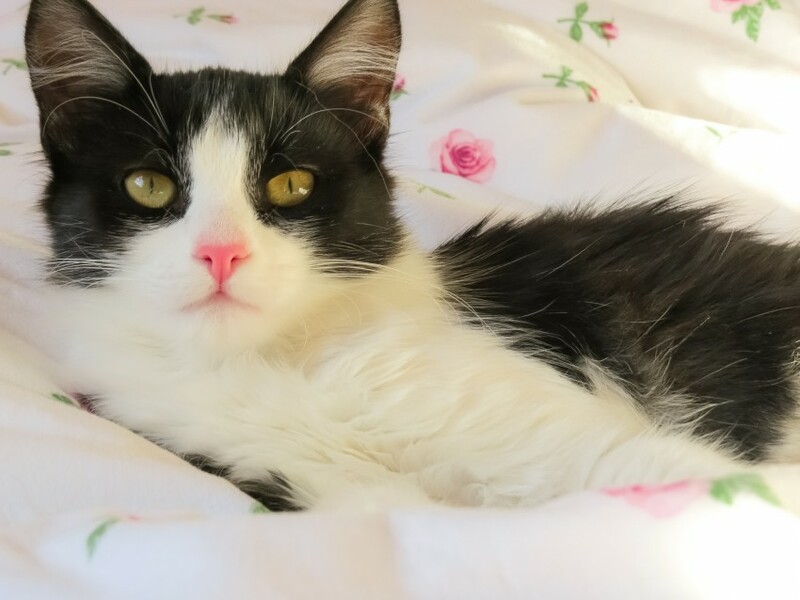 Healthy diets, proper weight management, diabetic monitoring and treatment of concurrent conditions are all imperative to a successful outcome for a diabetic cat. Getting your cat on the right track early can save you a lot of money and add years to their life. Next, let’s talk about the cost of insulin for cats. Keep reading! And we were on such a good roll there with all those upsides to having a diabetic cat! Oh well. Now we’ve reached a huge, honking downside: the skyrocketing costs of insulin. When the first version of this article was published, in 2012, we mentioned that a bottle of Lantus (glargine) insulin — considered by many vets to be the first insulin choice for diabetic cats — ran about $100. Research has shown that early treatment with Lantus gives the best possibility of remission. It’s labeled for human use for only 30 days, but veterinary experts believe it’s effective for several months past the expiration. Anyway, $100 a bottle of this stuff wasn’t too bad considering it can last a few months. But times have certainly changed. The cost has skyrocketed lately. An avid Petful reader wrote in to tell us she couldn’t find Lantus for under $285 a bottle for her diabetic kitty. “It is very expensive and very crazy,” this reader told us. We agree. Unfortunately, you’re at the mercy of greedy Big Pharma when it comes to filling human scripts, such as insulin, for your pets. 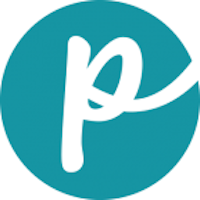 Your vet may go to another insulin, PZI (protamine zinc insulin, or ProZinc), when Lantus has not worked. Unfortunately, these other, less expensive insulins don’t seem to work as well in cats. Lantus is, according to most specialists, the best choice for diabetic cats. Newly diagnosed diabetic cats given Lantus as the first insulin have the best chance of remission. This means they may return to being a normal, non-diabetic cat. Lantus means easier control of diabetes, which translates to fewer trips to the vet, which translates to less money spent. Lantus is expensive, no matter how you cut it. The product will probably not be available as a generic for several more years. How Can I Get Lantus as Cheaply as Possible? A 10 ml vial is good for at least 3–4 months, maybe longer if handled properly. Most cats require very little insulin, so some of the insulin will go to waste, even if it lasts for 6 months. Pharmacists may tell you that you can use the bottle only for 1 month. They are wrong. This is the human usage instruction. Veterinary specialists have tested the insulin, and it stays effective for 3–4 months, often longer. Your pharmacist might talk you into Lantus Solostar “pens.” These are 3 ml pens that are sold in bundles of 5. The bundle of pens is more expensive than the 10 ml vial, but the insulin will definitely stay stable and not expire. Some pharmacies, we are told, will sell only 1 pen at a time. It’s a good deal if you can find it. Local, privately owned pharmacies may be your best bet. Talk with your vet if you want to try the insulin pen. The delivery system is not designed for a cat. Most specialists recommend that you have your vet put the insulin in a sterile vial and withdraw your insulin from that vial. Glargine insulin (a generic Lantus) can be compounded at a special pharmacy in smaller amounts. Many veterinary specialists worry about the quality of compounded insulin. Most experts don’t recommend using compounded glargine insulin. You could also try to get Lantus through a Canadian pharmacy. Or you could get creative and find a friend with a diabetic cat and split the bottle. Stabilization can be expensive because of the thorough screening and monitoring involved. Immediately after diagnosis, ask your vet for 2 estimates — for stabilization and for ongoing costs — so you understand the financial implications. Recognizing complications at the beginning makes for smoother stabilization. When you go on a long journey, you check your vehicle’s tire pressure, the oil level and that there’s sufficient gas in the tank. This helps reduce the risk of breakdown en route. The same goes for the newly diagnosed diabetic cat. When finances allow, let your vet run a barrage of bloods tests to help identify issues that could make stabilizing the cat difficult. One example is screening for high levels of growth hormone in the cat’s bloodstream. The latter is a condition called “acromegaly,” which afflicts around 25% of cat diabetics and can make their care more difficult. A couple of times a week, you should test the cat’s urine with a dipstick. This is a safety check to ensure no ketones are present. Ketones are a natural toxin and an early warning of trouble ahead. If the cat has ketones in the urine, then contact the vet urgently. From time to time, monitoring is necessary to check if the insulin dose is correct. This involves taking a pinprick of blood every hour or so to see how much sugar is in the blood. This test can either be done at the vet clinic or at home. Home testing is preferable because the cat is usually less stressed. You’ll quickly adapt to the cat’s daily routine of injections, and it usually isn’t too much of a bother. Having a diabetic cat does mean sticking to a regular routine of mealtimes and injections. They’ll need feeding at least twice a day, and once you’re happy they’re eating, then give an insulin injection. Most people find this fits seamlessly into their daily routine, although it can be complicated if you travel a lot or go on vacation — which we’ll discuss briefly next. Sick pets (and older pets) require additional mental and physical care than your average pet. Our best buddies are sentient, feeling beings — they thrive on routine and the security of familiar surroundings and family members. So keep your diabetic cat’s routine as stable as possible while you’re away. Besides their medical conditions, these pets may have anxiety disorders. Any changes in routine can cause them dangerous stress. Even well-regulated diabetics, particularly cats, experience stress when their family leaves. Stress can change their metabolism and therefore change their insulin needs. If they are solitary, independent animals, like many cats, then a change in their level of exercise, amount of human contact, and feeding schedule or amounts of food consumed can play havoc with their diabetes. A pet sitter should spend at least 1 hour twice a day in your home. Make sure the caretaker knows your cat’s daily routine and personality. The cat must be seen eating, walking around and exhibiting a bright and alert demeanor. If your cat is sleeping every time the pet sitter visits and the sitter just refreshes the food and water and gives the required insulin, this cat could be on their way to a diabetic crisis. Too often, a client tells the vet that the pet sitter “couldn’t find the cat” and left. This is bad in any case, but it could be life-threatening to a diabetic cat. This may be a tough topic for many of you who love your pet dearly but are also in desperate need of a vacation. Take the time to find a solution that prioritizes your pet’s health so everyone can have a pleasant time while you’re away. Diabetes in cats is a HUGE subject, and we feel we’ve only skimmed the surface here. However, if your cat is diagnosed with diabetes, don’t be downhearted. 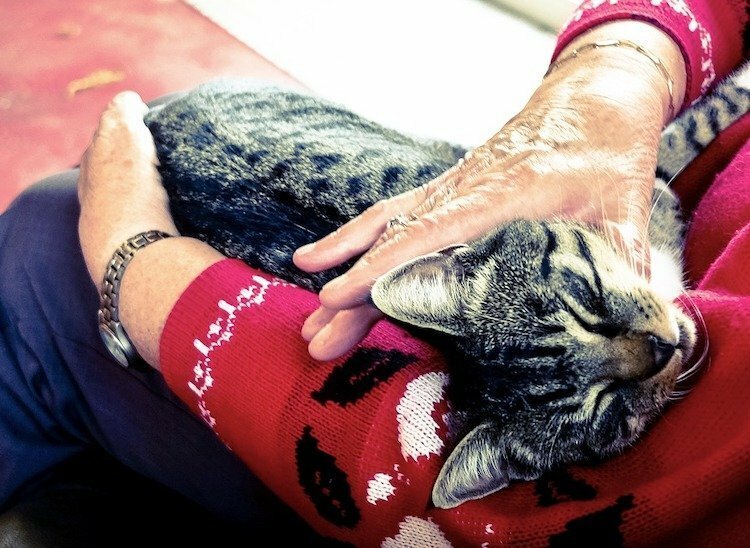 Diabetes is not a death sentence and, with a little planning and some experience under your belt, you’ll barely notice the commitment it takes to care for a diabetic cat. Bruyette, David, DVM, DACVIM. “Diabetes Mellitus.” MSD Manual Veterinary Manual. https://www.msdvetmanual.com/endocrine-system/the-pancreas/diabetes-mellitus. Cornell Feline Health Center. “Feline Diabetes.” Cornell University College of Veterinary Medicine. March 2017. https://www2.vet.cornell.edu/departments-centers-and-institutes/cornell-feline-health-center/health-information/feline-health-topics/feline-diabetes. Feldhahn, J.R. et al. “Insulin Sensitivity in Normal and Diabetic Cats: Part 1, Pathogenesis.” Journal of Feline Medicine and Surgery, 1(2): 107. https://www.ncbi.nlm.nih.gov/pubmed/11919024. Rand, J. “Current Understanding of Feline Diabetes.”Journal of Feline Medicine and Surgery, 1(2): 143. https://www.ncbi.nlm.nih.gov/pubmed/11919029. This expert guide to caring for a diabetic cat was written by veterinarians, Dr. Debora Lichtenberg, VMD, and Dr. Pippa Elliott, BVMS, MRCVS. This article was last updated Dec. 7, 2018.